Picture the scene; it’s an overcast day in Manchester (no surprise there), I’m stood on farmland, near to some black tubing with more wasps around them than I care to count. A very unexpected place to be picking up the keys for the car featured in the title of this article. If I were picking up a John Deere, then yes, this would be a suitable location. However, the location is neither here nor there; the car I’m picking up is where the interest lies. 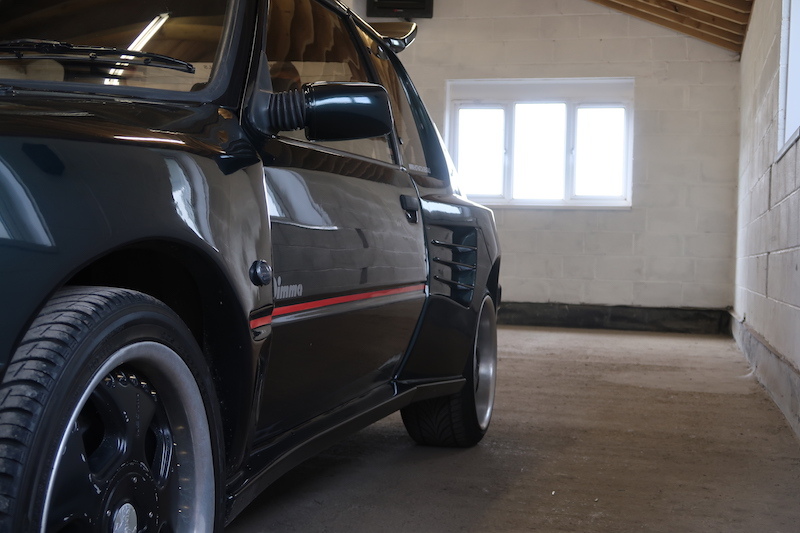 You see, it’s a Peugeot 205 GTi, which in itself is enough to get the heart pumping. 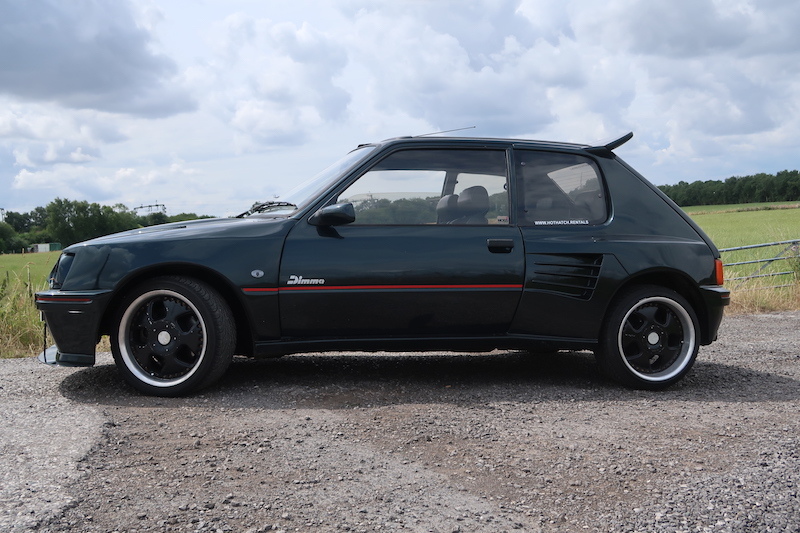 However, this not just any 205 GTi, it’s a Marks and Spen – no, just kidding. 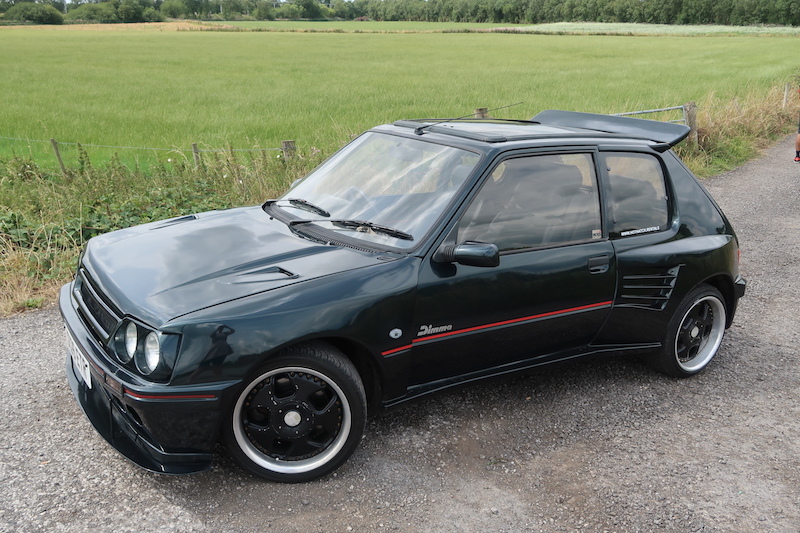 It’s actually a 205 GTi Dimma, meaning that it looks more aggressive and in your face. As I stare at it, parked in the garage, its oozes presence. At first it looks black, but get closer and I see it’s a dark emerald, much like the paint finish on the equally iconic Vauxhall Lotus Carlton. 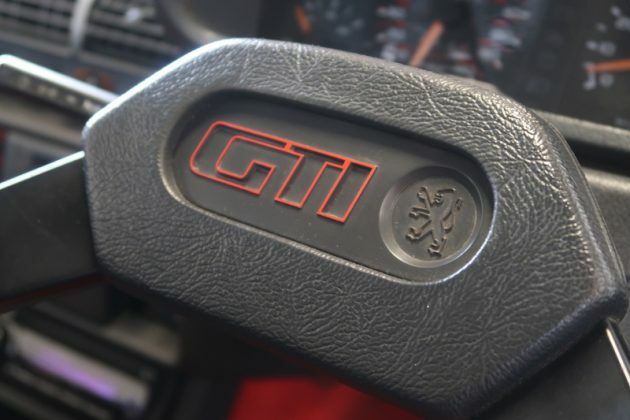 In case you somehow have no idea what a Peugeot 205 GTi is (shame on you), let me explain. 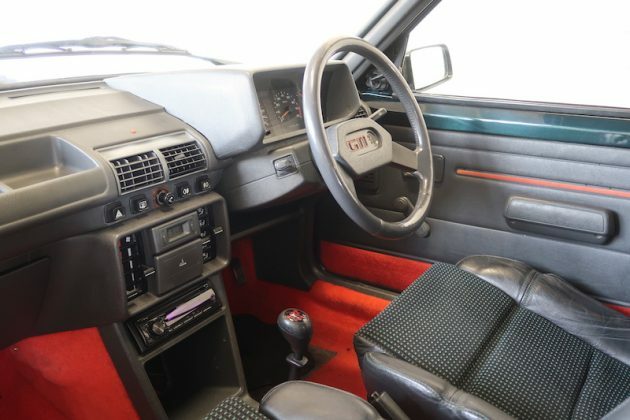 Following the launch of the 205 in 1983, the French brand injected it with some steroids, bringing us the GTi in 1984. Originally it was offered with a 1.6 litre naturally aspirated petrol engine that kicked out just above 100bhp, but over time, that power output grew to 115bhp. A 1.9 litre model was also introduced, which offered around 130bhp. 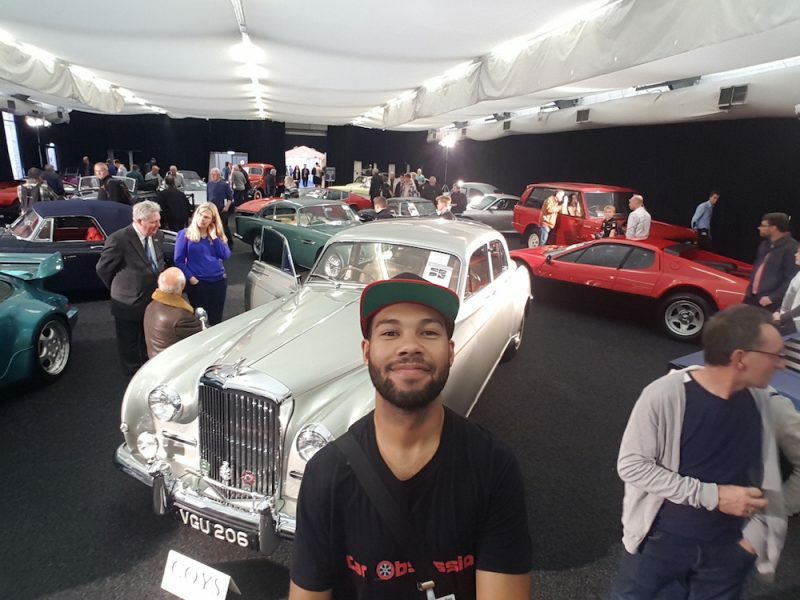 It’s the 1.9 litre I have in this model, which is able to propel this throwback to 60mph in under 8.0 seconds and on to a top speed of 127mph, which isn’t too far behind its modern day equivalents. This power is mated to the front wheels via a 5-speed manual gearbox in typical hot hatch fashion. 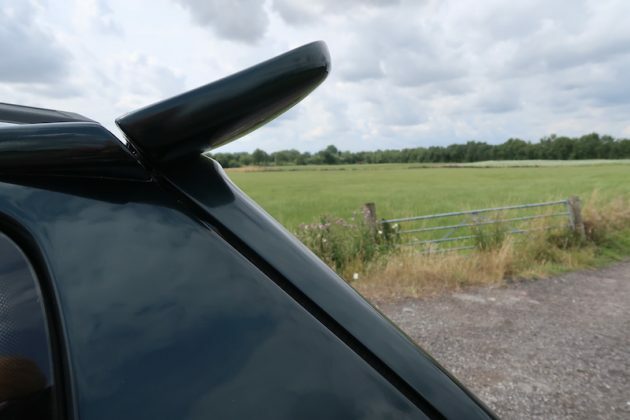 There is often a debate whether the 1.6 or the 1.9 is better, but I’m afraid I cannot give you my view as both the 205 GTis I’ve driven were both 1.9s. 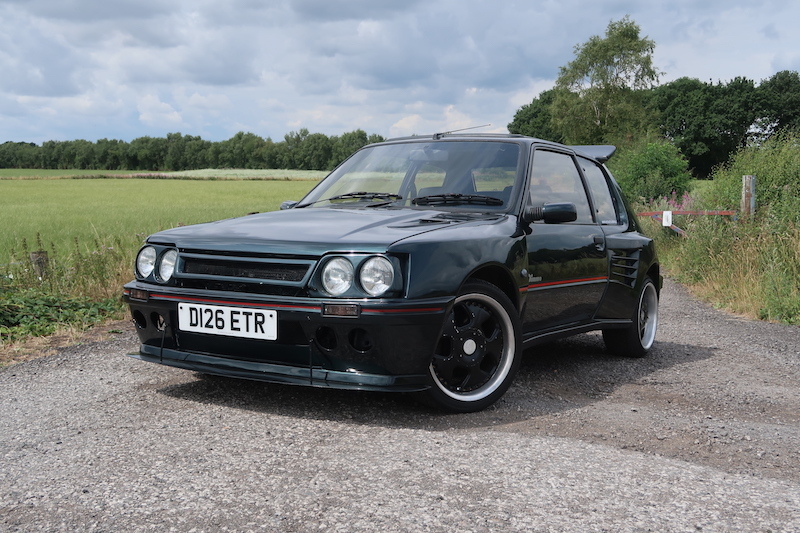 Want a 205 GTi with more aggression? Dimma has the answer for you. For the uninitiated of you, the ‘Dimma’ part of this car refers to the wide bodykit, that makes the 205GTi look as if it’s trying to break out of its own skin. 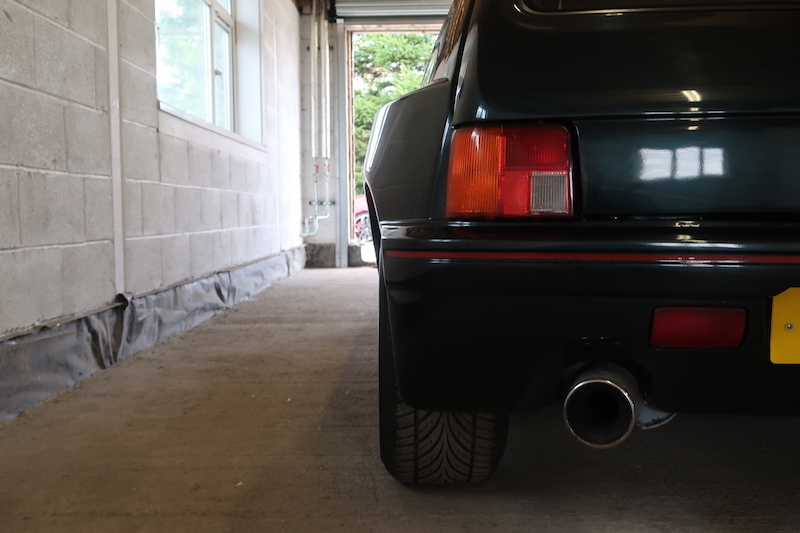 I turn the key for the first time and the 1.9 litre engine grumbles in to life, further highlighting the car’s desire to break free – I’m surprised it wasn’t chained up to the wall in honesty. Well, I think it’s time to unleash this beast if you ask me. The car was running lean, meaning that it was quite jerky to begin with, and it gave me some idea of what it would be like to break a horse. I had to learn how the car behaved and harmonise with it before I could really get the best out of it. The gearchanges weren’t as smooth as what you’d get in a modern car, and thanks to its analogue nature, the 205 is a car that needs concentration to be driven. This is not a car that will simply ferry you about, merely humouring you in to thinking that you’re doing serious work. This is a car that needs to be driven, a car that takes work. This will make you break out a sweat. No, really, it will, as it has air con, nor does it have electric windows. To bring the glass down you have a lever you need to spin around. For those of you too young to remember, these are called ‘wind down windows’, otherwise known as ‘keep fit windows’. 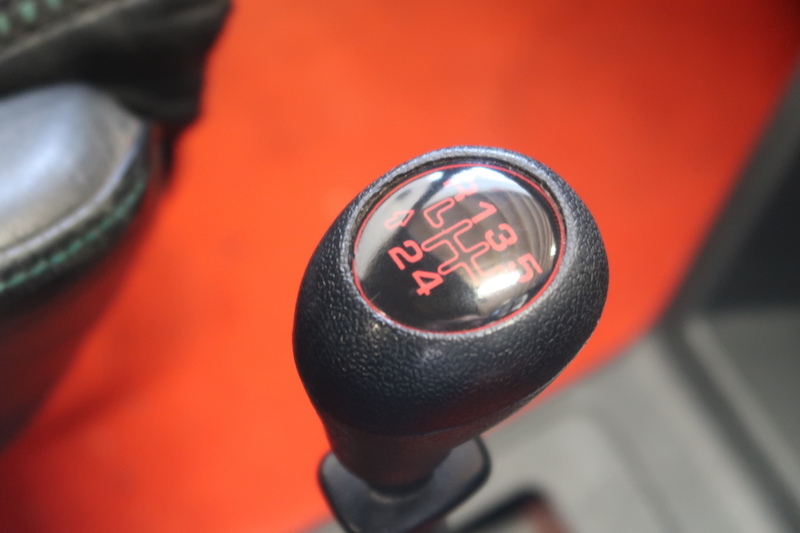 The steering is also on the ‘keep fit’ side, as it offers no power assistance, but that’s fine by me as it means the car needs more effort to drive. That may seem like an odd thing to say; surely it’s better to have a car that’s easy to drive. 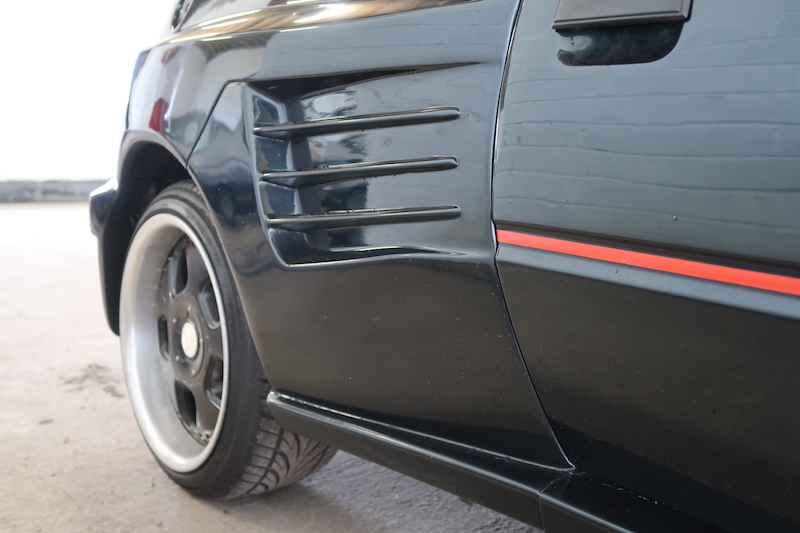 However, more effort means more engagement in my eyes, plus it also makes the 205 GTi feel more raw. As I blast down the road for the first time I’m greeted by a bellowing noise that’s intent on disturbing the surrounding areas as well as a speedo that is bouncing around as if Tigger has designed it. The pedals offer a nice weight, although the brakes are far from what you would expect from a modern car, but that should come as little surprise. 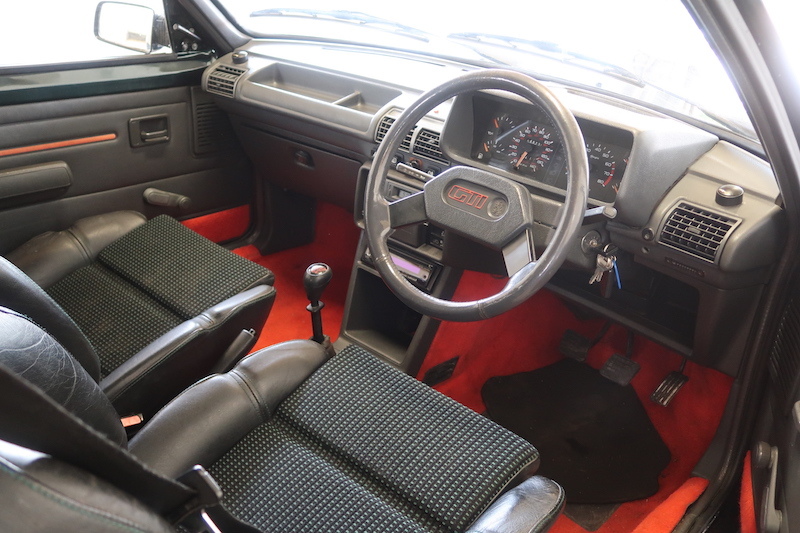 Pedal placement is good, although I wasn’t quite brave enough to attempt heel and toe changes and the brake pedal needed a fair amount of prodding to initiate braking, whereas the throttle was light and responsive. The clutch has a satisfying weight to it and the gearchanges are snappy enough, although I found 2nd to be bit notchy. The throws are also a bit long, and you operate the gearbox with a tall gear lever, which would look very out of place in cars nowadays. The steering offers plenty of feedback and the car feels extremely nimble, meaning – motoring cliche coming – it handles like a go-kart. In the corners it has the sort of feeling that modern hot hatches simply cannot imitate, but that’s because they’ve gotten bigger and heavier over the years. Sure, they’re faster as well nowadays, but sometimes lightness and sweet handling is all you need. That’s exactly why the last generation of the Swift Sport did so well, and that was far from a powerhouse was it? 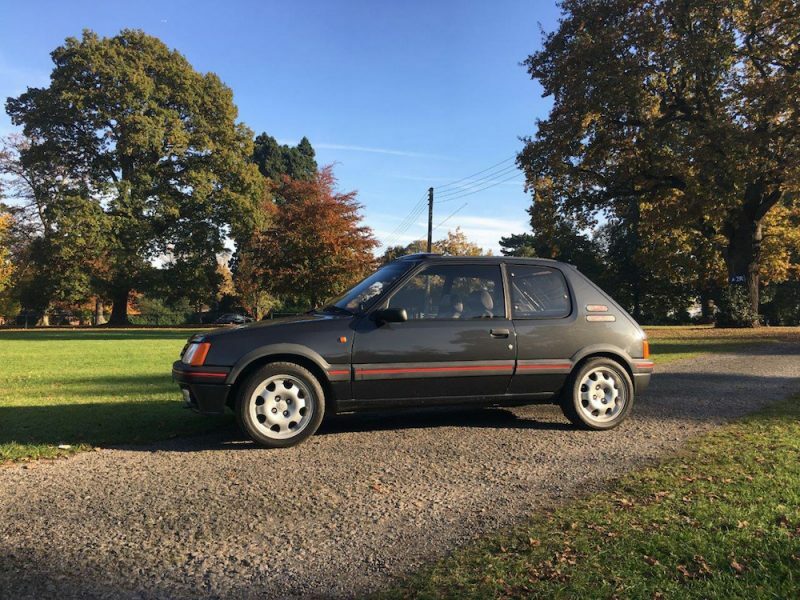 The 205 GTi has built a reputation of a lively back end, which has claimed the egos of a few drivers, and I almost got caught out when I drove a non-Dimma 205 GTi two years ago. 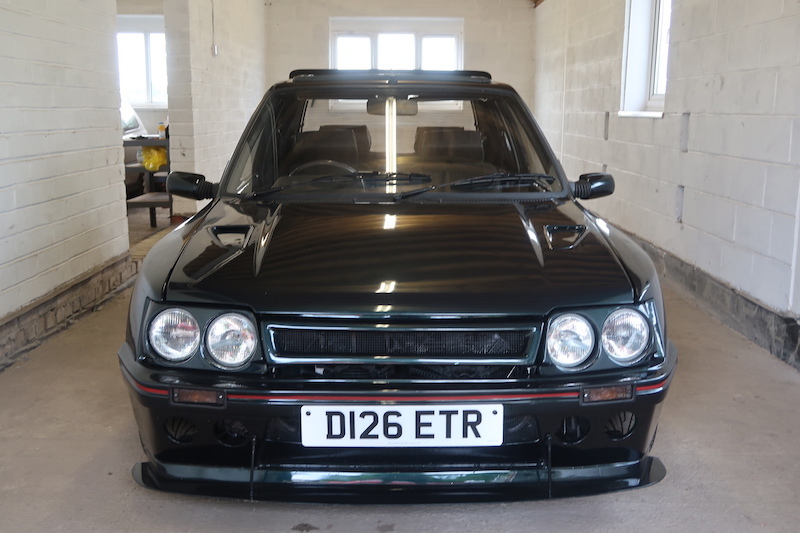 Because of this, I was cautious not to really thrash it, as I didn’t quite fancy being the one to write of rare, classic hot hatch. Mind you, I needed have worried too much as this little pocket rocket was able to offer plenty of mechanical grip, meaning that – uh oh, another cliche is coming – it felt like it was on rails. 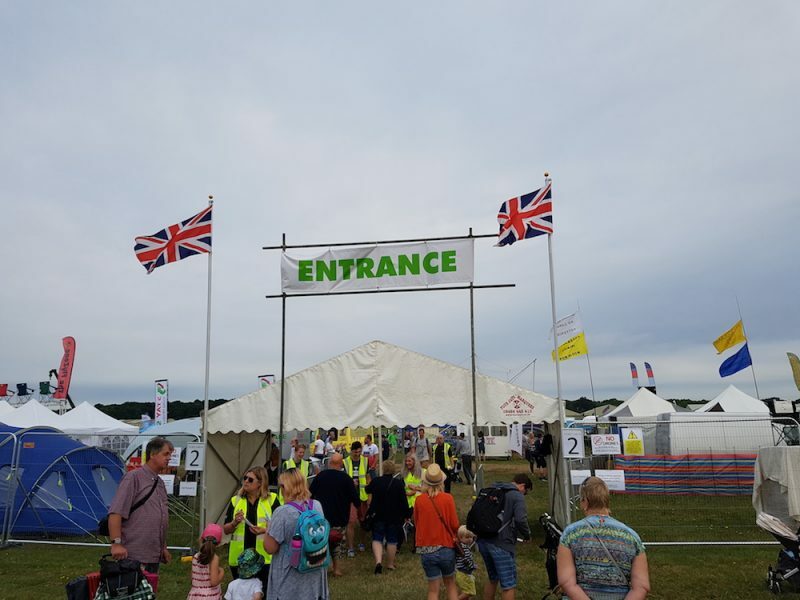 With my time with the car almost up, it was time to head back to the car’s base and to sum up. 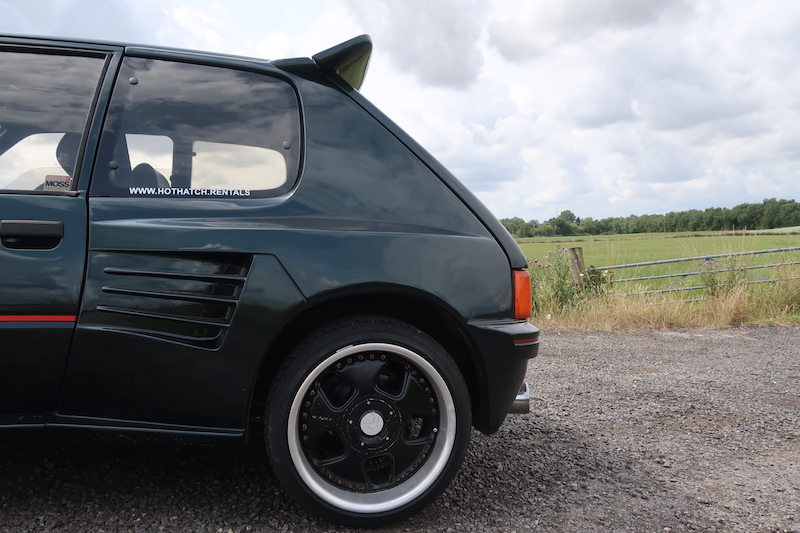 It’s clear why the 205GTi has become a legend; it offers raw, unadulterated driving thrills. The sort of thrills that modern hot hatches can’t quite muster, although they are a lot easier to live with, and in no way am I saying that they are boring, because they are not. 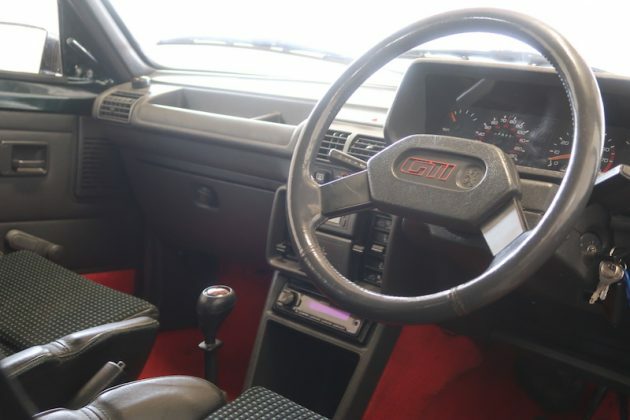 But at the same time, they don’t feel as alive as this 205GTi Dimma. This car is raw, thrilling, intoxicating, and visceral. The word legend can be used far too often, but not here. The Peugeot 205 GTi Dimma really is a motoring legend if you ask me. 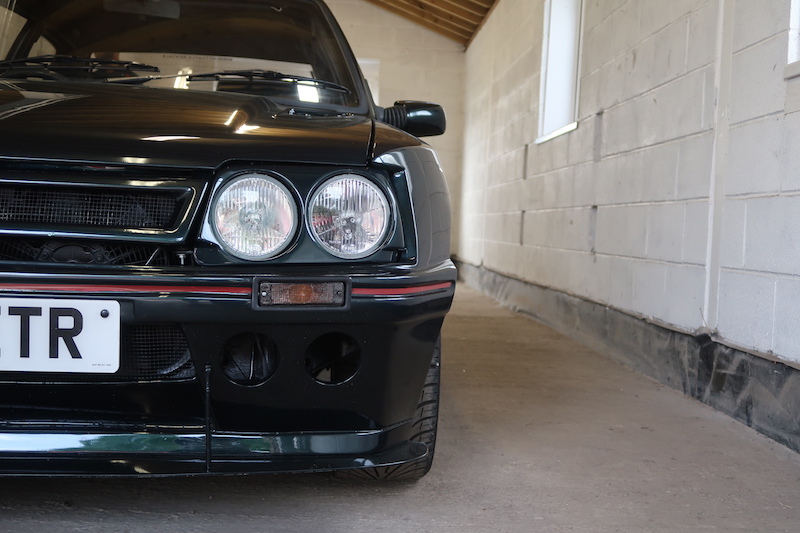 It’s a car I believe any hot hatch fan should enjoy, and luckily for you, you can. This very car is available to hire thanks to Hot Hatch Hire, with prices starting at £295 for 48 hours. A big thank you goes out to them for making this drive possible, and if you’d like to book some seat time with this car, head to their site.